Watch: Martin Oliner stresses unity in interview for Rosh Hashanah. 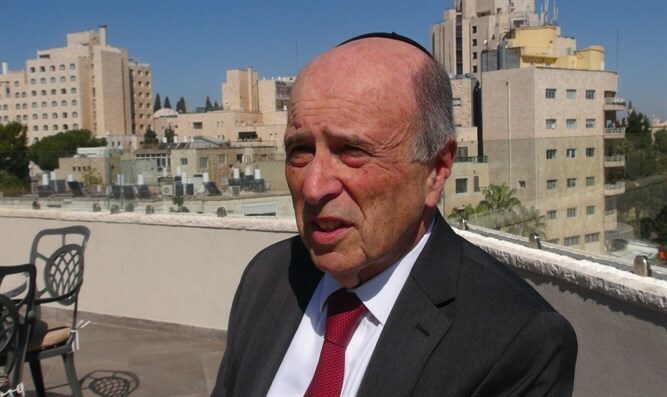 Martin Oliner, chairman of the Center for Righteousness and Integrity and co-president of Religious Zionists of America, summarized the outgoing Jewish year and previewed the new year, in a special interview with Arutz Sheva on the occasion of Rosh Hashanah. “We live in a time when we have a man who’s in office today who’s an extraordinary friend of Israel, to the point of beyond the extraordinary, and I think that’s what we’re going to see in the year to come,” Oliner said in reference to U.S. President Donald Trump, who was elected this year after eight turbulent years of the Obama administration. “I think we see a president who is totally dedicated to the State of Israel. We see wonderful people in Israel today and we see extraordinary people in America, who are working together in a joint partnership,” he added. “I think that, as we welcome this new year, we will see extraordinary things happening for Israel. Opening of new governments, opening of new places, opening of an increased interest, an increased focus by America on a joint venture partnership with Israel. We will see extraordinary times,” opined Oliner. Most importantly, said Oliner, the message for the new year is one of unity among Jewish groups. “We need to be one, unified nation, so as we come into the new year, I think there’s no more important message that together, as a unified group, we can accomplish whatever is necessary. When Jews act in unison, there’s no stopping them,” he said. “We are unified. We are one. When we’re unified and when we are one, we are unstoppable,” stressed Oliner.